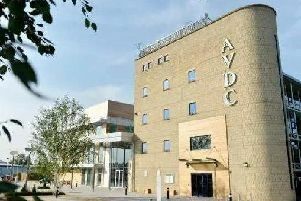 A fire alarm at the Waterside Theatre in Aylesbury caused a half-hour delay to the start of last night’s performance of Joseph and the Amazing Technicolor Dreamcoat. One fire crew attended the theatre in Exchange Street at 7.40pm last night as the cast, staff and audience were forced to wait for the opening night of the show to get underway. The message to evacuate came just after the lights went out and the music started, but before the curtain had gone up. Waterside Theatre press officer Ali Trimming said: “It was a false alarm which was caused by the smoke machine. “In the afternoon we used it as rehearsals as we would normally but the smoke didn’t dissipate so when everyone entered in the evening it created a bit of a haze. “The smoke machine then went off at the start of the play and that set off our rather sensitive fire alarms. Bucks Fire and Rescue confirmed it was a false alarm and tweeted that they hoped everyone at the Waterside enjoyed the show after the interruption. The show features former X Factor contestants Lloyd Daniels and Amelia Lily and former EastEnders actor Matt Lapinskas.